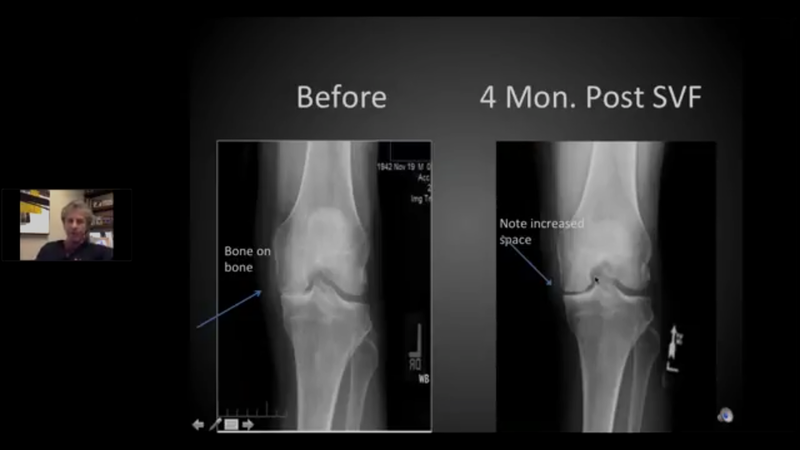 Regenerating bad knees is no longer a thing of the past, it's happening in clinics like ours all across the US. If you look closely at the outside of the knee on the left, you can clearly see no space between the bones. That's not good, that is severe degeneration or osteoarthritis of the knee and will ruin any vacation plans. After just 4 months post procedure it is clear the cartilage is showing significant regrowth. So, how long does it last? We just don't know for sure, this therapy is still very new. But studies out of a Pubmed search on the subject indicated about 80% of the regrowth would be maintained for 5 years. And for those wanting to improve the growth we also have a growth factor product to inject at approx 4 months that will help continue the growth even longer. Newer PostOkay, it works... but will it last?